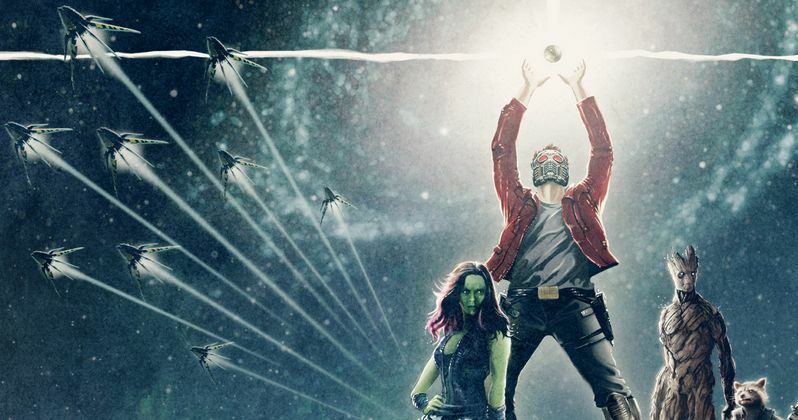 Whether you loved it or hated it, the first trailer for Marvel's Guardians of the Galaxy released in February certainly had an impact on comic book fans around the world, set to the Blue Swede classic tune "Hooked on a Feeling." YouTube user The Usual Suspect has managed to cut together footage from the original Star Wars trilogy (Star Wars: Episode IV - A New Hope, Star Wars: Episode V - The Empire Strikes Back and Star Wars: Episode VI - Return of the Jedi) into a new trailer that captures the same tone and plot points from Guardians of the Galaxy. Some fans may consider Guardians of the Galaxy to be the Marvel Cinematic Universe's version of Star Wars, since it is essentially set in a "galaxy far, far away" from the previous Marvel movies and follows a similar group of "rebels" trying to restore balance to the galaxy. Do you think Guardians of the Galaxy should be compared to Star Wars? Chime in with your thoughts below after watching this unique trailer. You can also check out a fan-made poster for Guardians of the Galaxy in the classic Star Wars poster style in the gallery below. In this installment, Luke Skywalker and his friends have set up a new base on the ice planet of Hoth, but it is not long before their secret location is discovered by the evil Empire. After narrowly escaping, Luke splits off from his friends to seek out a Jedi Master called Yoda. Meanwhile, Han Solo, Chewbacca, Princess Leia, and C-3PO seek sanctuary at a city in the Clouds run by Lando Calrissian, an old friend of Han's. But little do they realize that Darth Vader already awaits them. In the epic conclusion of the saga, the Empire prepares to crush the Rebellion with a more powerful Death Star while the Rebel fleet mounts a massive attack on the space station. Luke Skywalker confronts Darth Vader in a final climactic duel before the evil Emperor.